Previous version Hearthstone Heroes of Warcraft 7.0.15615 apk for Android will help you to downgrade or install older app easily. This is one of the best Strategy apps. This game does not allow you or your opponent to spell the cards carelessly like in the other cards games. Although this game is not complicated, it also needs a strategy to finish it. It needs good strategy and timing when you play it. In this game, the cards and minions of yours have an amazing power. You can also know when your opponent puts their mouse into the card or minion he wants to choose. It makes you easy to detect it and set your strategy. For gamers, it will be said that this game should be added in some features like the match replays, spectator mode, stat-tracking, and more. 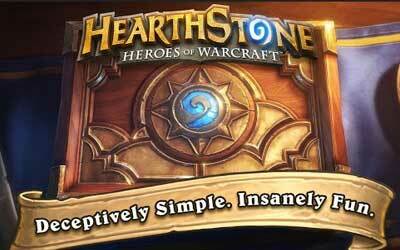 But, overall Hearthstone Heroes of Warcraft for Android is worth to play. A gritty new game board. Very addicting. One of my favorite cards games to pass the time! Love that you can customize your deck and earn cards as you play against other. Takes some getting used to but eventually you get the hang of it.